… but so are sapphires, rubies, emeralds and even rhinestones! Editor’s note: Mary Kay Seminar 2017 just ended. And it always involves jewelry! In honor of Seminar, we bring you Nancy Thomason’s reflections on Mary Kay Ash and her jewelry. 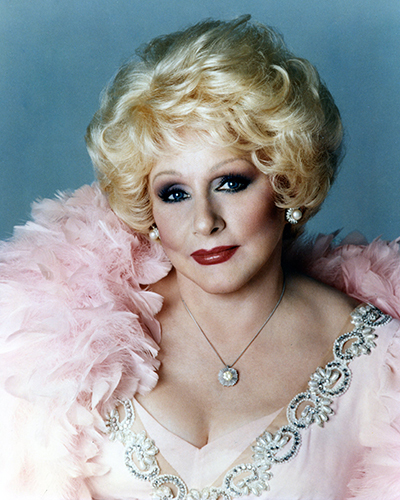 Mary Kay Ash wasn’t a person of luxuries. She had diamonds, but she also had a lot of costume jewelry she loved. It didn’t have to be worth a lot of money for her to like it. I remember many times Mary Kay got home in the evening and would call back to the office. She spoke to Erma Thomson, then Executive Special Assistant to the Chairman of the Board. Mary Kay to Erma: Oh, I’m missing one earring. Would you see if it’s by the phone? Erma: Which one is it? Is it carats we’re talking about or rhinestones or what? She had to ask because Mary Kay had all kinds of jewelry. If she liked it, she liked it. Once Erma found out which earring Mary Kay needed, I took it to Mary Kay’s house before heading home for the evening. Mary Kay had fun coloring her diamonds too. She had a large diamond ring. If she had on a pink dress, she’d take out a magic marker and color the diamond pink. She even taught that trick to Liberace. 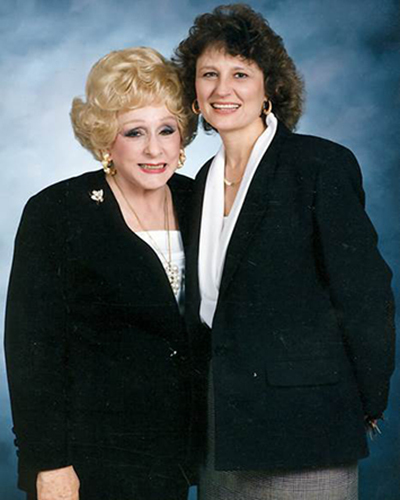 Nancy Thomason served as Mary Kay Ash’s personal protection officer for years. She currently serves as Executive Project Specialist and Board Member for The Mary Kay Foundation.℠ If you want more by Nancy, see An Insider's Guide to Mary Kay's Round House, Mary Kay Liked it Hot! and How I Learned Graciousness from Mary Kay and a Lemon. I love this story. Years ago our NSDE was with Mary Kay and mentioned how pretty her ring was and said it was just like the one she wore last night but a different color. Mary Kay laughed and said it is the same ring, I just colored the diamonds red. I always think of Mary Kay as this elevated, perfect person. I love these stories because they show us that she was just one of us. A kind hearted, driven person with a dream to help others. This is such a great story! I love hearing Mary Kay Ash stories. What a beautiful woman! Such an incredible legacy! Love it! This is such a great story!! I wish I could have meet Mary Kay. She sounds like an amazing person. I enjoy watching her old video clips and try to be more like her everyday. Her humble lightheartedness is part of the Mary Kay culture that I embrace. I'm not sure if it was Mary Kay or someone with her heart that shares an affection for pretty jewels-- when complimented on her beautiful diamonds she'd say they are "Summer Diamonds" --- some are diamonds, and some are not!